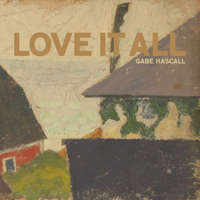 When we last heard from ex-Slowreader singer Gabe Hascall, he was releasing the fine Just Dust EP. With “Love It All,” he gives up his earlier work’s crisp guitars in favor of bedroom synth-pop — Casiotone, painfully alone, etc. But maybe it’s not so bad: “I can’t help it / I love it all,” he sings. Download the new single exclusively right here, with a stream of the even sunnier b-side “When I Think” as well. The Love it All single is due on Tuesday — get more info on Facebook.